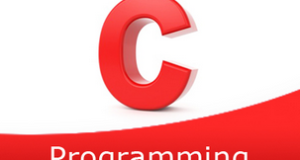 C program to remove all repeated characters from a given string – In this article, we will discuss the multiple methods to remove all repeated characters from a given string in C programming. As you can see in the given example, you need to enter the string first up. It is evident that ‘l’ and ‘o’ are repeated in the string. So, these two alphabets will be omitted out. Read the entered string and save in the character array s using gets(s). 3) Replace all repeated characters with ‘*’ as follows. a) For loop iterates through the string until the character of the string is null. c) Then compare the first character with the next characters to it. If matched then replace the matched elements with “*”. Repeat these b,c steps for all elements of the string. 4) Remove all ‘*’ from the string as follows. for loop iterates through the string until s[i] becomes to null, with the structure for(i=0;s[i];i++). b) If s[i] is matched with ‘*’ then increase the k and decrease the index value i. Here we are shifting the elements to left by removing ‘*’. The main() calls the findduplicate(char *s) to find the repeated characters in the string. b) If the element of the string is not a ‘*’ then compare the element with the next elements to it. If matched then replace the matched elements with ‘*’.Then return ‘*’ to main(). Repeat this step for all elements of the string. 2) The main() calls the deleteduplicate(char *s, char c)by passing the string and the duplicate character as arguments to the function to delete the repeated elements from the string. b) If the element matched with ‘*’ then shift the next element to ‘*’, to one position left as s[i]=s[i+k],by increasing k value and decreasing index value i.